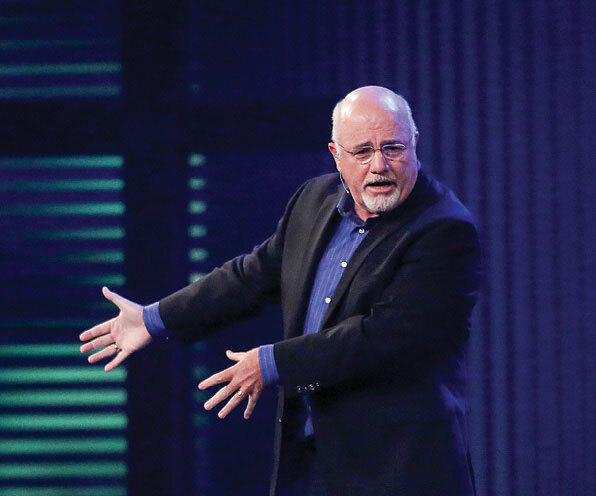 Dave Ramsey holds his wallet up in the air. Everyone in the room looks up to see what he’s going to do with it. “I’ve got four pieces of plastic in this thing,” he says in a nasally Tennessee twang. “I have my personal debit card, my business debit card, my driver’s license and my handgun carry permit.” The conference center fills with laughter after that last one. Ramsey’s made his point: He doesn’t have any credit cards, and he doesn’t want any. If you understand anything about the 56-year-old financial guru and radio personality, you must understand this: He despises credit cards. Because he despises debt. For Ramsey and his disciples, borrowing is a serious sin. It’s his first and most important rule, and as he elaborates about why, everyone in the room starts scribbling notes. This is the third day of an EntreLeadership Master Series course in Brentwood, Tennessee, just south of Nashville. I’m surrounded by more than 100 entrepreneurs, CEOs and leaders who have traveled here from across the country for five days of business wisdom directly from Ramsey and his team. In his book EntreLeadership: 20 Years of Practical Business Wisdom from the Trenches, Ramsey defines EntreLeadership as “the process of leading to cause a venture to grow and prosper,” and that’s what he’s aiming for this week. 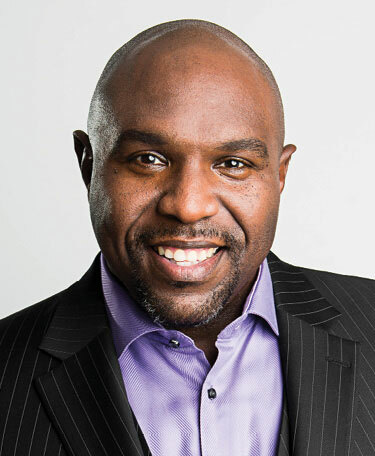 Ramsey is a one of the biggest names in the world of personal development. He has seven best-selling books and has sold more than 10 million books all together. His eponymous radio show gets more than 12 million listeners per week on more than 575 radio affiliates and a variety of digital outlets. And he and his team put on dozens of live events every year that have been attended by more than 1 million people. That is why the attendees here at the Master Series have each paid upward of a couple thousand dollars for the chance to interact up close with Ramsey and his team for the week. 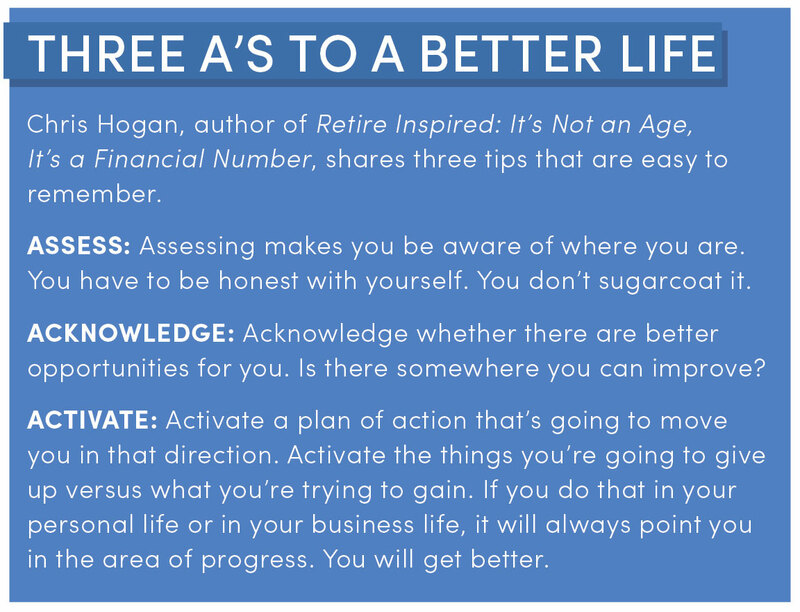 He generally eschews the dry-erase boards and boring spreadsheets that traditionally accompany financial advice. Instead his lessons come in the form of stories about his own experiences. He likes stories because his business is all based on a story—his story, the story about how he made a lot of money early in life, then lost it all, then made it all back and then some. He jokes that he could write an entire book just based on the mistakes he has made in business. Like the time he wrote a children’s book about a kid who couldn’t afford NASA Space Camp™, only to find out NASA is trademarked and he had to pull and destroy all of the books he printed. And about the time he lost $78,000 in a radio deal that seemed so perfect at the time. But even here, he stresses, he wasn’t working with borrowed money, so his problems didn’t magnify themselves. I’m watching the way he engages and inspires people, but all the talk of finances makes me think of my own. They are, to put it frankly, not where I’d like them to be. 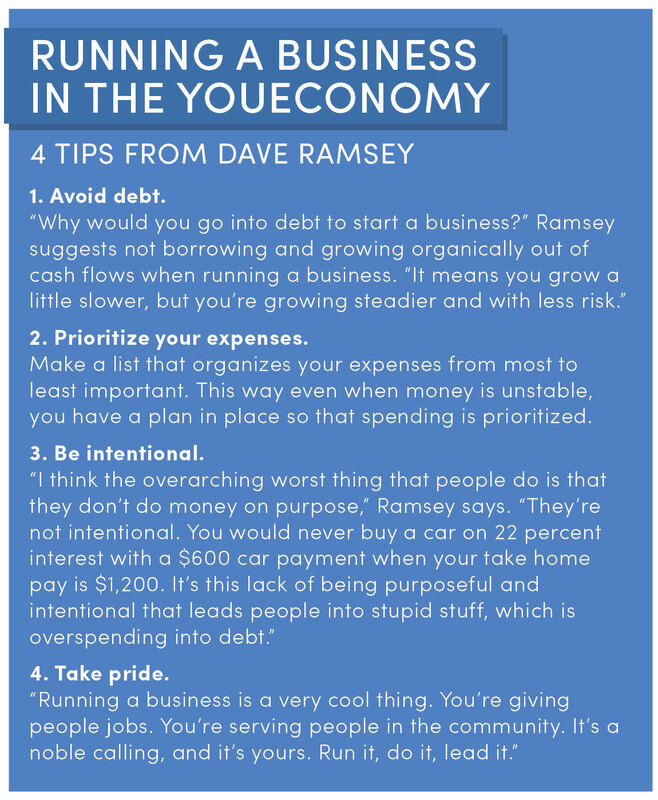 And now as I listen to him railing against debt, I begin to get nervous thinking about what Ramsey will say when he sees how I’ve been spending my money. Ramsey’s hatred of debt comes from his own experiences. He knows that borrowing is what got him in trouble in the first place. Ramsey was in his mid-20s at the time and had already built a real estate portfolio worth more than $4 million. When his bank was sold to another bank, the new bank demanded Ramsey pay back $1.2 million in notes, and Ramsey was forced to file for bankruptcy relief. The year before the bank called for their notes, he says he made $250,000 in taxable income. The next year he made $6,000. That’s when the borrowing stopped. A few weeks after his leadership event, I’m sitting in the studio where Ramsey shoots his show at his headquarters—a building he’s dubbed Financial Peace Plaza. He’s wearing a black blazer, a patterned gray shirt and jeans, sitting in the chair he occupies while on air for five days a week. This is where he has listened to the problems of countless callers, following patiently as strangers ask him for advice—something I’ll be doing in a few minutes. On the shelves behind him are an autographed football helmet from his alma mater, the University of Tennessee, and the most recent books printed by Ramsey Press. Right outside the studio door is a wall of fame that includes pictures with celebrities and even presidents. I ask him what he means when he says that. 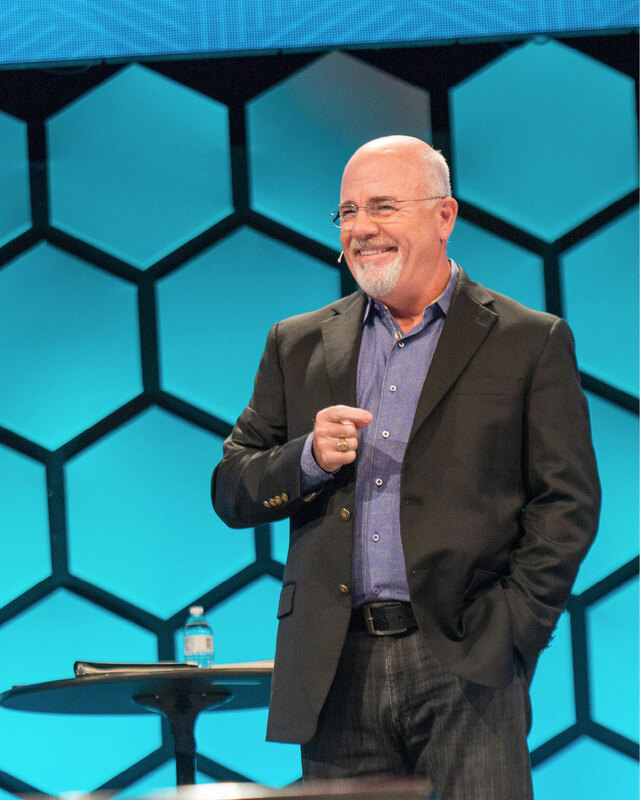 He credits his faith for giving him hope as he and his wife clawed their way out of debt. Throughout the week at the EntreLeadership event, on his show, in his books and in the time I spend with him, he refers often to Scripture. He’s memorized dozens of verses from the Bible, and when he recites them he does it with clear conviction in his voice. If you didn’t know better, you might mistake him for a preacher. It’s one of the reasons so many people come to him with their problems. My finances aren’t in bad shape—at least I don’t think so. 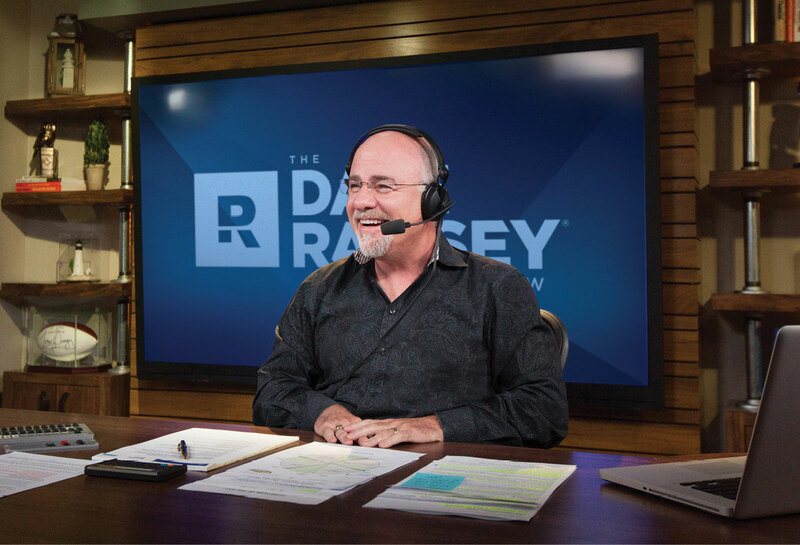 If anything, my finances look stellar compared to some of the people who call into The Dave Ramsey Show. It’s not uncommon for someone to call Ramsey and burst into tears because their financial picture looks so grim. Many of them are hundreds of thousands of dollars in debt, and they see no way out of it. They reach a point so low that they’re willing to go live on air and expose their finances to Ramsey with millions of people listening or watching. He tells a story of a time when he was driving on a Sunday night, and he came across a frequency broadcasting a fiery loudmouthed preacher. He later found out that this specific frequency reached 38 states and Puerto Rico at night. He badly wanted to be on this frequency, so he started making calls and eventually he was sitting in the studio on a Sunday night eager to start broadcasting to so many new places. As the show was up and running, Ramsey asked his producer—who screened calls—why he wasn’t getting any calls from listeners. “Do you want a sober one?” his producer asked. Many men with financial problems were drinking heavily on Sunday nights to relieve the anxiety of going to work on Monday and facing more money challenges, they learned. This is how serious it can get. I don’t owe hundreds of thousands. I’m not crying over my finances or staying awake at night because of them. Nor am I drinking heavily to mask the stress of a financial burden looming over me. Thanks to the help of my parents, and the bartending skills I developed in college, I was blessed to graduate without any student loans. But I have not one but two credit cards. Plus, I bought a new car a couple of years ago, so I have car loan. I know he won’t like that. 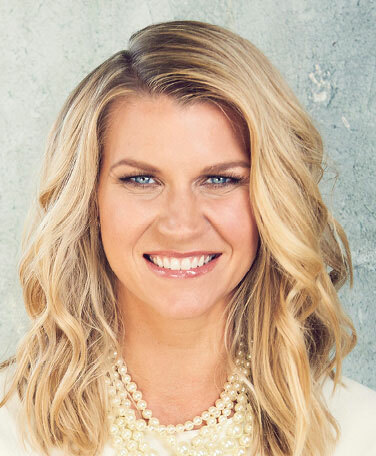 At one of Ramsey’s Financial Peace University events a few years ago, a pregnant woman came up to Ramsey to complain because she couldn’t buy one of the products sold at the event with a credit card. “No ma’am. Credit cards are a tool of debt,” Ramsey explained to the woman. Ramsey’s conviction against debt is so strong that you can’t purchase one of his books, products or a pass to an event with a credit card—only a debit card. The woman was in disbelief and started ranting to Ramsey, but before she could finish, Ramsey told her that he was going to give the product to her for free. The only catch, Ramsey requested, was that the woman bless someone else with the gift when she was done. For Ramsey and his disciples, borrowing is a serious sin. This type of thing is a relatively common occurrence during his radio show, too. After a live call, someone from the Ramsey team almost always stays on the line. Whether it’s a free copy of one of his books, a kit or a ticket to one of his events, the callers get some form of help and additional guidance. “The way he conducts his business and personal life is through the lens of giving. 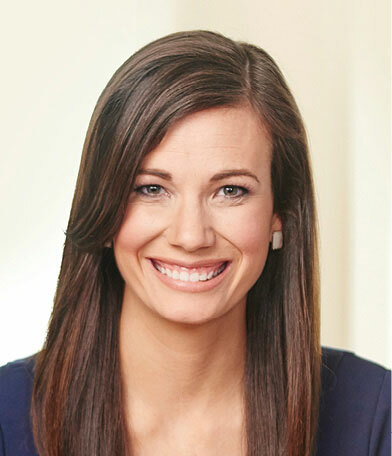 That reflects in his leadership,” says Ramsey’s daughter Rachel Cruze, who authored the book Love Your Life Not Theirs: 7 Money Habits for Living the Life You Want. When I ask Ramsey about this, he’s quick to deflect any sort of praise. “It’s leading by example, but it’s hiring the right people because those aren’t things that are unique to me,” he says. He’s able to delegate this kind of authority to his team because he holds them to high standards. Ramsey often refers to bad team members as “turkeys”—and he doesn’t hire turkeys. The average interview process at Ramsey Solutions consists of 17 interviews. One of the 17 is a spousal interview where an applicant and the applicant’s spouse dine with the potential supervisor and his or her spouse. But even after someone is hired, Ramsey expects a lot from those on his payroll. If you’re caught cheating on your spouse, you’re fired. He doesn’t want people who don’t represent his own values working for his company. At the EntreLeadership event, he mentioned he has a personal policy not to be alone in the presence of a woman who isn’t his wife. He says he won’t even ride an elevator with a woman unless there’s someone else there. He’d rather take the stairs. At some point in our conversation, I’m comfortable enough to bring up something I don’t talk about with anyone: my personal finances. Not even my parents know how much I make. Money is something most of us think about often but, for a number of social reasons, rarely discuss. Sharing salaries and spending habits is something even couples in long-term relationships can struggle with. And although I’m ready to share with Ramsey, I don’t really want the other people in the studio and control room overhearing me. (I’m also not about to go into detail in a national magazine.) So I printed out my budget for Ramsey. I slowly slide a spreadsheet of my expenses across his wooden desk. “That’s pretty revealing,” Ramsey says. Most people who call into the show throw out a few numbers but not a line-by-line budget. Through his frameless glasses, he carefully examines what my rent and utility payments are and my other monthly expenses—gas, lunch, toll roads, a gym membership, credit card payments, magazine and newspaper subscriptions, Netflix and “fun” (drinks and going out). Factoring in insurance payments, 401(k) contributions and taxes, I wrote what I have left over at the bottom of the spreadsheet and circled it. I assume he’s going to say something about cutting up my credit cards. But neither my car loan nor my credit card debt is what he addresses first. “You don’t have food in here,” Ramsey points out. “I have lunch,” I shoot back, quick to defend myself. I explain that lunch includes some groceries and that what I spend on “fun” includes dining out. What it really means is drinks. I wrote fun because that’s an easier way to describe it without being judged by one of America’s No. 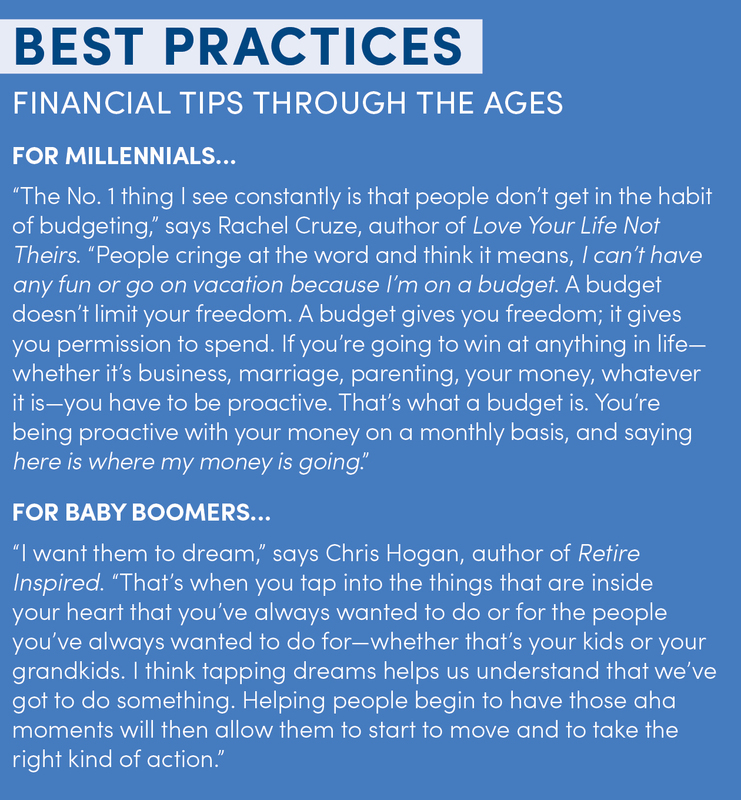 1 Christian-based leaders in personal finance. Fun has a positive connotation; alcohol does not. He’s not one to judge, at least he doesn’t come off that way. But I wrote fun because it’s nicer to look at my budget and see that what I spend on fun is almost the same as what I spend on my monthly car payment. If I were to write alcohol on my budget, it would be more embarrassing and harder to swallow. I realize immediately that it’s an out-of-sight, out-of-mind approach to budgeting. I also realize that, like he does with callers on his show, he’s looked past the financial concerns and pinpointed some bigger personal issues at play. Listening to Ramsey’s show, I’ve noticed many times, money is really just a symptom that underlies other problems. A woman recently called into the show who said she was struggling to fix her money issues because she wanted to save, but her husband kept spending. Ramsey didn’t give her money advice. Her problem wasn’t her money—it was her marriage. What the couple needed, he said, was marriage counseling. Until they could work out their relationship problems, they wouldn’t be on the same page to straighten out their finances. Alcohol is not necessarily something I struggle with but it’s certainly something I could do with less of. Perhaps that’s why I barked back at Ramsey so defensively. Perhaps that’s why I interpret his observational tone as accusatory. Regardless of whether he knows that fun really means alcohol, I know the finances reflect something bigger that needs to change. He’s right. I don’t buy enough groceries. I eat out more than I should. I’ve known this for a while, but I’ve always justified this by telling myself that it’s hard to cook for one. The first thing I need to do, Ramsey advises, is break down my budget into more detail. He says this will help me have a more precise picture of what I’m spending. Ramsey’s high expectations of his company and his staff serves two purposes. First, he wants his people to enjoy coming to work. Ramsey Solutions has been voted one of the best places to work in Nashville 10 times. 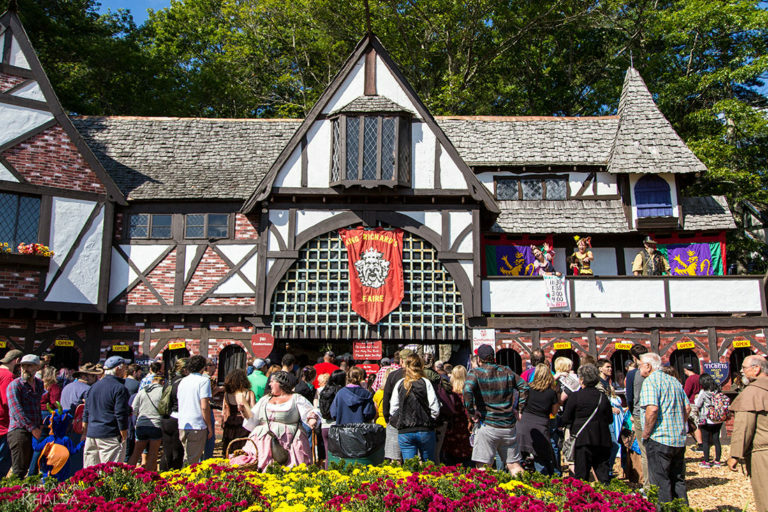 Each year they have a battle of the bands contest featuring in-house performers. Ramsey has given away free cars to his employees. But beyond fun activities like lip-synch competitions and monthly team lunches, Ramsey has created a company culture of people who care for others. Ramsey says when a team member is sick, co-workers step in to provide meals for them or even mow their lawn. He started working on the plan about six years ago. The process has three components: ownership, leadership and brand transfer. 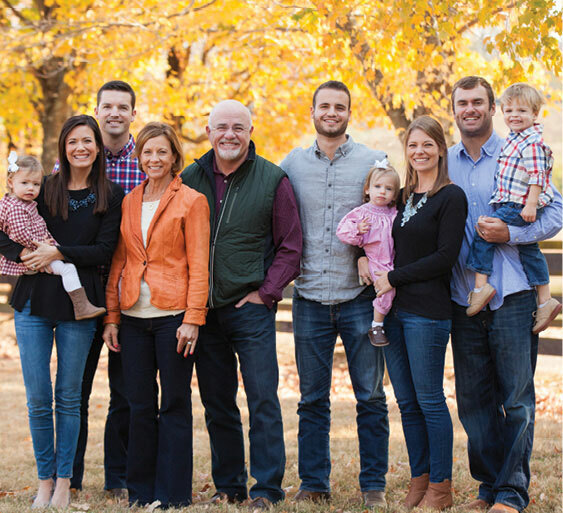 Ramsey’s adult children, Cruze, Denise Whittemore and Daniel Ramsey, will be the owners. Ramsey says his children have been in intense training for almost 10 years to learn how to be proper owners. He has a lot of confidence in his leadership team, but he says the brand transfer is the hardest part. To do this they have built a team of Ramsey Personalities, including Cruze, Hogan, Wright, Anthony ONeal and Chris Brown. They each focus on a different niche under the Ramsey brand and do their part with speaking engagements, books and other products. Cruze, Hogan and Wright were all speakers at the EntreLeadership series. Ramsey isn’t done setting goals either. This company is currently in the beginning stages of building a new 200,000-square-foot facility, the first of four planned buildings. Ramsey has already paid more than $10 million for the land—cash, of course. In true Ramsey fashion, however, he doesn’t plan to break ground until he’s accrued the rest of the approximately $50 million necessary for the land and construction of the new headquarters. Because he doesn’t want to borrow. “You’ve heard the rumor,” Ramsey jokes. Taking a deeper look at my finances, Ramsey says the next thing I need to do, after getting more detailed and eating better, is tackle my credit debt. I was sort of dreading this even though that debt doesn’t exceed $500. But he has a solution. He preaches the debt snowball plan. What this means is I would pay off my debts from smallest to largest. This clicks for me. Once I pay off my credit card with the smallest balance, I can use that extra cash to pay for my next smallest credit card balance. After I’ve paid off my credit cards, Ramsey says I need to cut them up and focus on the baby steps. Step 1: Save $1,000 to add to my savings. Step 2: Stop all saving and investing, including my 401(k) contribution. This frees up more money to increase my car payments, by as much as 200 percent, and pay off my car much faster. After the car is paid off, I can move on to Step 3: Build an emergency fund, which is the money to pay my expenses for three to six months. Step 4: Save. This means continuing my 401(k) contributions, Roth IRA and the like. If I wanted to buy a house, this is when I would start saving for one. Even though Ramsey calls them baby steps, they’re much easier said than done. And a couple of things make me uneasy, like halting my 401(k) contributions and cutting up my credit cards. I explain to him that I don’t use my credit cards to pay for things I can’t afford. If I can’t pay for something in cash today, I won’t buy it—plus the points are always a nice perk. On my way from Financial Peace Plaza to the airport, I do the math and figure that if I stick to Ramsey’s advice exactly, I can pay off my car a year or so earlier than I had planned. I open a credit card app on my phone and stare at my smallest debt—$159.37. Payday is a week from today, and the first thing I plan to do when the money hits is pay that off. Then I want to pay off my next credit card, and then I can tackle my car loan. Although I’m not sure how I feel about temporarily halting my 401(k) contributions, I like the idea of living debt-free. 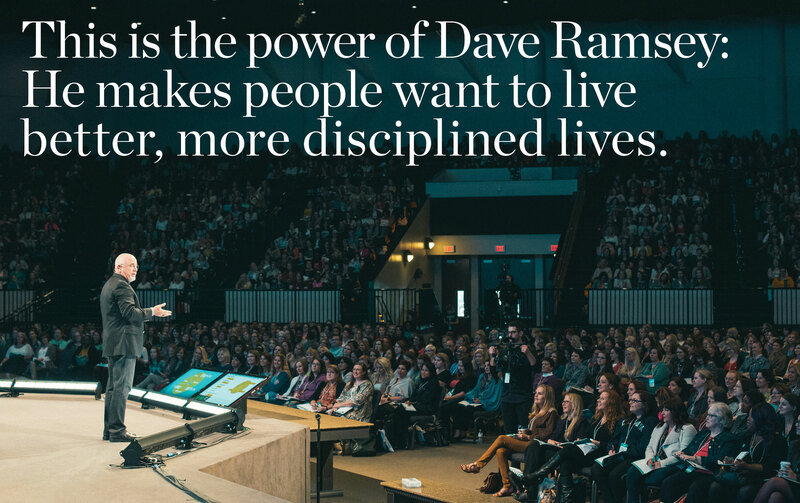 This is the power of Dave Ramsey: He makes people want to live better, more disciplined lives. He makes me want to raise the standards I’ve set for myself. I’m a year younger than the age Ramsey was when he filed for bankruptcy. It’s a pain he suffered—falling so hard—so he could save others from the same fate. Now, by following Ramsey’s tips, I hope that’s something I’ll never have to experience. The financial habits I develop now will affect the rest of my life; it’s up to me whether I want them to haunt me or bless me.